Dr. Gundersheimer lives up to the hype. Glad we switched! Dr. Gundersheimer and his staff is awesome! Very friendly and helpful. I recommend their office for all of your vision needs! From the moment we walked in the office they took great care of my children! I'm very pleased by the time he took and for the exceptional care they all received. When you walk in with 4 kids it can be overwhelming but not at this office. We will not change eye Dr's again! Dr was very thorough with exam very patient. I rate my experience a five. And I will be back next exam time. Thank you. Everyone who works here is very good at their job, Everyone! I would recommend Dr. Gundersheimer to everyone, he does a great job and always value his opinion. Dr. Gundersheimer and his staff offers a courteous, knowledgeable, and professional service. Always helpful, always friendly, and always professional. I have been using this practice for years and never a complaint. Totally recommend their services. first visit, everyone very friendly! @ Dr. Gundersheimer explained everything he was doing and his findings. Very good experience. Dr. Gunderscheimer is excellent with my 7 year old. We are thrilled to have him as her eye doctor. The office atmosphere is very upbeat for kids, as well as helpful and sweet office staff. Just THE BEST I HAVE EVERY HAD Doc is great and the ladies are just too sweet. Thanks to all of you. I have been going for years and get very good care. 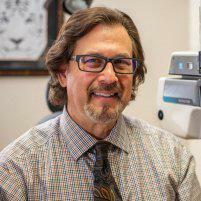 Excellent Dr. friendly staff would recommend to anyone needing eye exams! 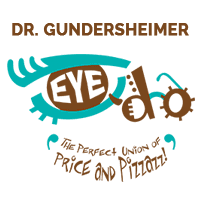 Dr. Gundersheimer is one of the best in visionary care! He is very knowledgeable and genuinely caring about his patients. I have been a life long patient of his and would recommend him to everyone. Thank you for the years of care!